Narrowing down my Super Bowl menu has been next to impossible this year. Not only because I think I have some seriously scrumptious recipes in my repertoire (so humble, I know), but mainly because I am the most indecisive human of all time. For evidence of this, take note of the post from earlier this week in which I made 4 wing sauces because I couldn’t choose just one. Though I have finally gotten it whittled down to only about 3 times more food than necessary for the number of guests I’m expecting, so I guess that’s progress. 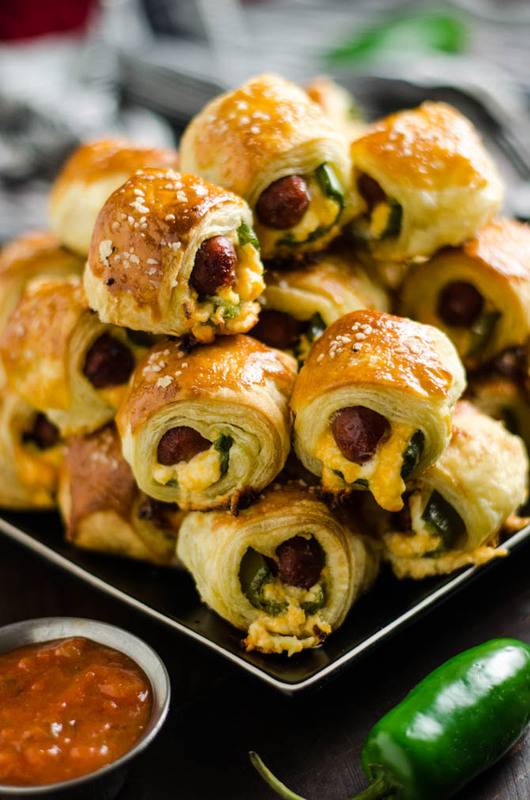 I spent like 3 days debating one of my hardest food decisions to date: would I make Jalapeño Poppers ooor Pigs in a Blanket for the party? With the long list of appetizers I’d already solidified, making both would be excessive. I asked friends, but the results were split. I flipped a coin, but I forgot to designate which side was which. In all honesty, I really just didn’t want to choose between them. So I took the ol’ fallback route. I combined them. 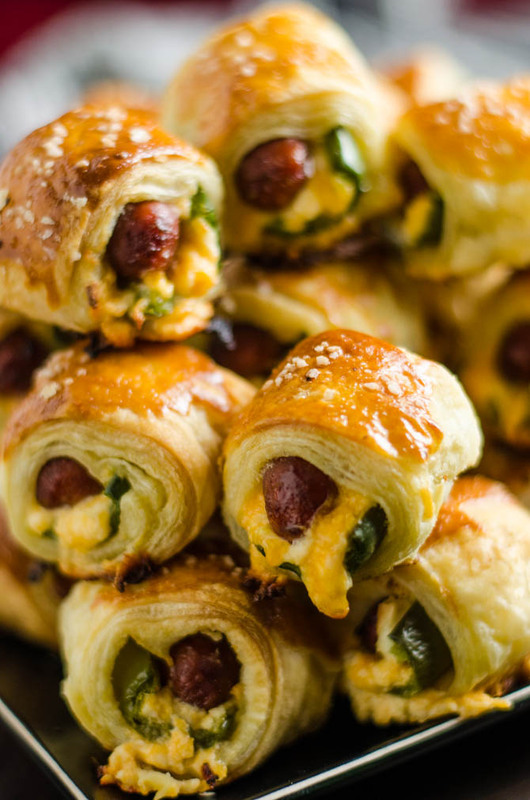 Hello, Jalapeño Popper Pigs in a Blanket! Goodbye, self-control. What I mean is that I ate a ton of these last night. Right before bed. It was maybe not the best course of action for my body but a major win for my soul. Luckily there were still enough to freeze two big freezer bags full, so if you’re coming to my house on Sunday, expect some of these bad boys. And if you’re not, I highly recommend making some for yourself. They’re very simple to put together. First, you have to slice jalapeno peppers in half, remove the seeds, and then cut them into pieces that are the same size as Lil Smokies or cocktail wieners. 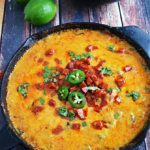 Then, mix together cream cheese and cheddar cheese, and fill the jalapeno pieces with the cheese blend. Once they’re filled, press the cocktail wieners on top and you’re ready to roll. 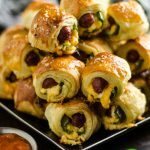 You can use crescent roll dough if you’d prefer, but I personally love puff pastry. 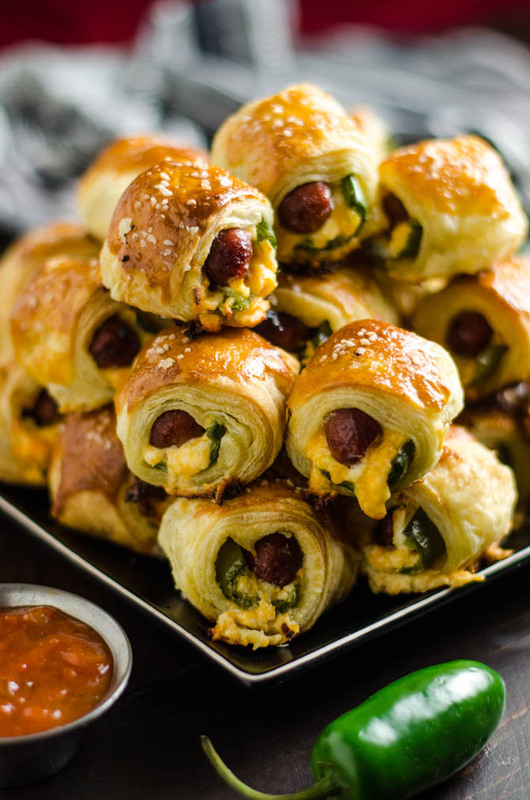 I think it gets fluffier and flakier, reheats better, and looks nicer, so I use 3 sheets of puff pastry for wrapping the Jalapeño Popper Pigs in a Blanket. 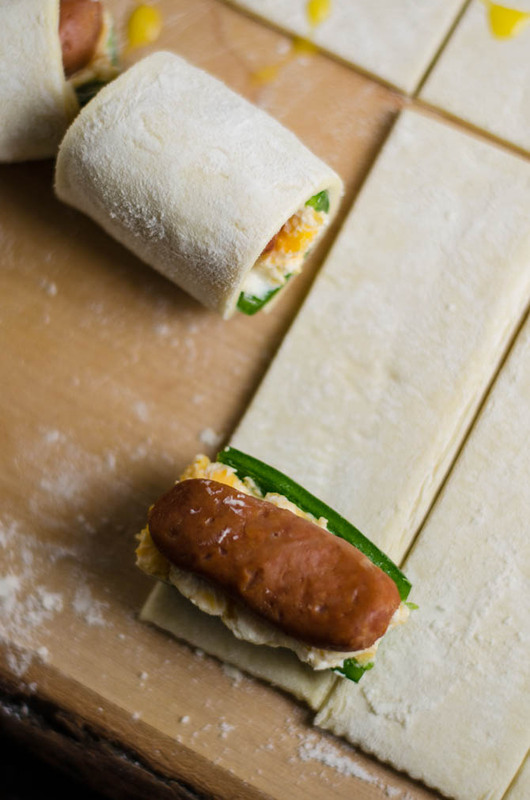 Just roll ’em up, one at a time, sealing the edges with a bit of egg. 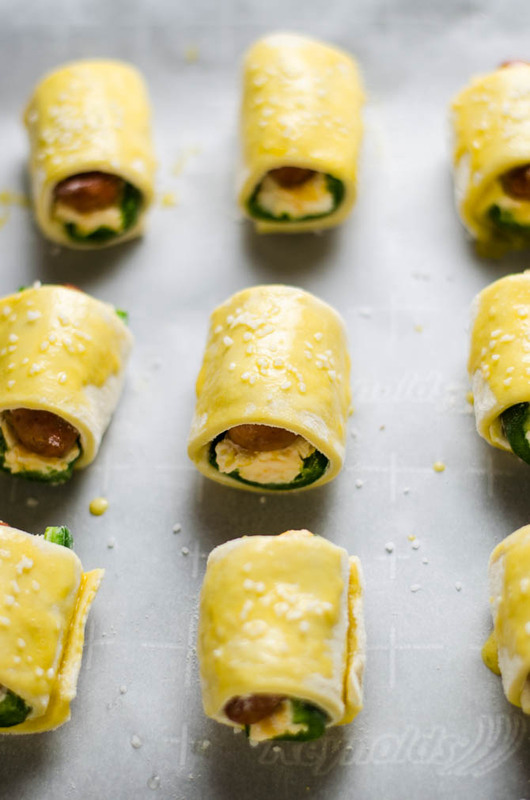 Then brush the tops with more egg for good measure and sprinkle the Jalapeño Popper Pigs in a Blanket with some pretzel salt, sesame seeds, or poppy seeds, if you’d like. 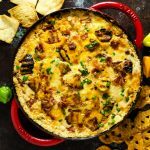 You don’t have to sprinkle them with anything, but it’s a great opportunity to boost the flavor of the snacks and make them look even tastier. And then just stick them in the oven until the puff pastry is browned and cooked through. Some of the cheese will ooze out in the process. No biggie. 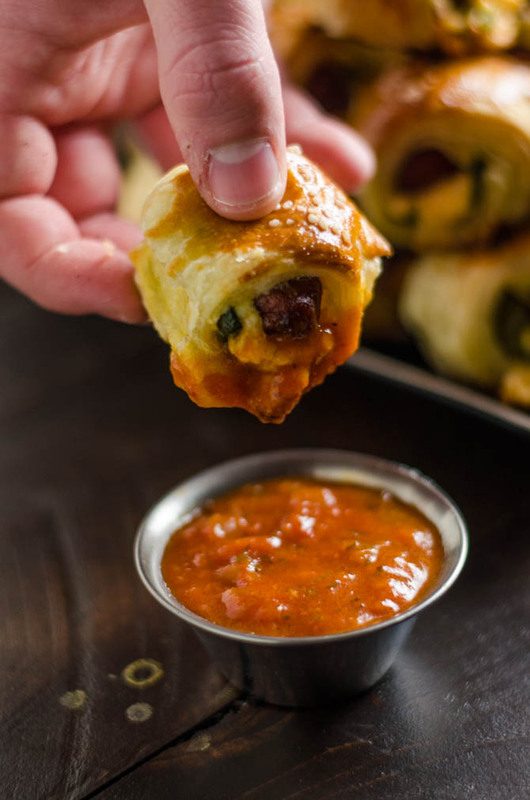 Just let the Jalapeño Popper Pigs in a Blanket cool slightly and then use a knife to easily detach any burnt cheese bits. 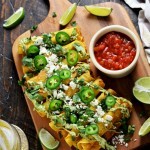 There will still be plenty of cheese in each bite, I promise! 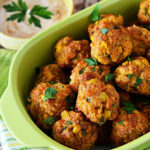 From there you can freeze them, serve them as-is, or serve them with a marinara dipping sauce. And then dig in, of course. Well actually hold on. Before you serve these up, don’t forget to take a picture and tag #hostthetoast on Instagram so it shows up on the You Made It page. 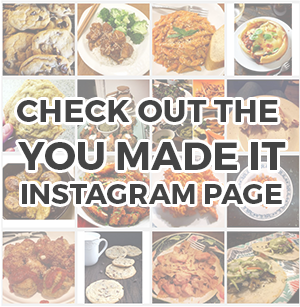 I love checking out your cooking creations! These look beyond fantastic! They say that necessity is the mother of invention, but I think indecision could give necessity a run for her money…and I’m not complaining! Can these be made ahead of time and freeze and then bake when the time comes? If I froze these, was just wondering how soft the pepper would get or would it be best to make a day ahead of time, refrigerate, and then put in oven the next day? Which did you prefer, smokies or weiners? Is it better to freeze unbaked?